In our project it was Web Application ( MVC ) using WCF . We just upgraded to WINDOWS 7 and started working with IIS 7.5 . So the message was not to evident. 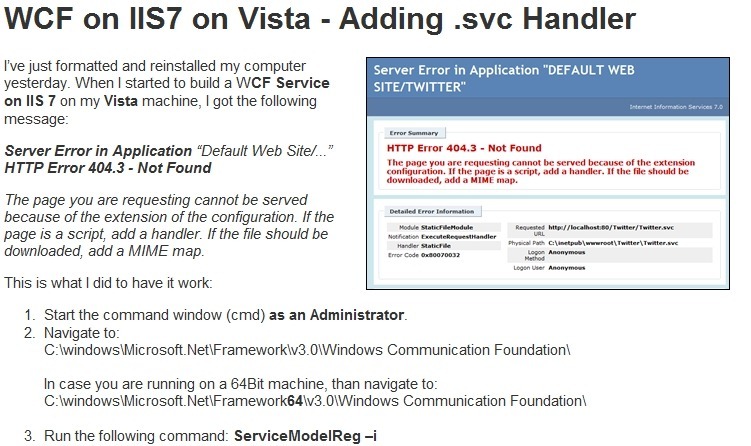 We’ve remembered that in IIS 6 in Windows XP it had a problem with .mvc extentions. In order to resolve this you need to run “\%windir%\Microsoft.NET\Framework\v3.0\Windows Communication Foundation\ServiceModelReg.exe -i”. 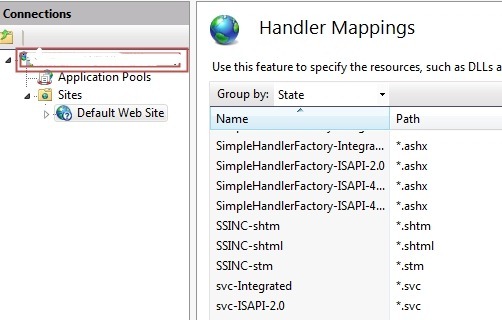 It will create required .svc mapping.